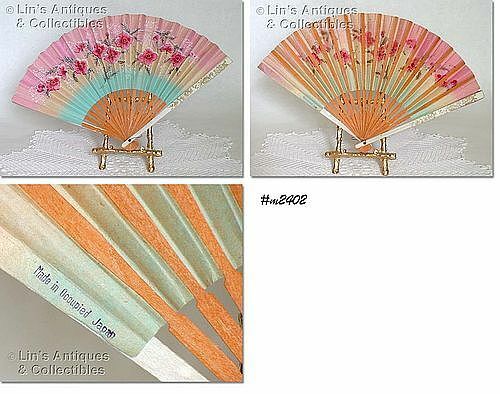 This lovely hand-held fan is made of wood and paper and is stamped Made in Occupied Japan. It’s in very good condition – has some small slits that oddly enough, are really only visible if you hold the fan to a light. Nice item, difficult to find!